Welcome to UFCU Mobile Banking for iPad. You are one step closer to having access to UFCU whenever, wherever you are. It’s a fast, secure and free* way to get 24/7 access to your UFCU accounts from your iPad. – ATM locator which includes locations of all ATMs in Austin that are free to members. • When entering your zip code during registration please make sure it’s the zip code reflected in online banking. • For your security we have chosen not to use the account number as the user name for mobile banking. You will need to register and create a new username for mobile banking even if you are enrolled in online banking. By the way, security is our priority. • All information transmitted is encrypted with state-of-the-art encryption methods. • If your device is lost or stolen, you can disable the app quickly online. • Only transfers between existing accounts can be made. • Only bill payments to existing billers can be made. 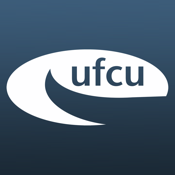 *UFCU does not charge a fee for the use of UFCU Mobile Banking for iPad. Standard messaging and data rates may apply.